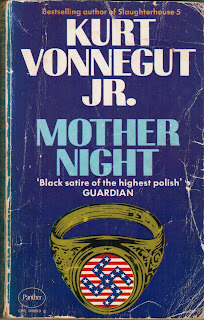 A LITTLE BIT OF READING: MOTHER NIGHT - Kurt Vonnegut Jr. 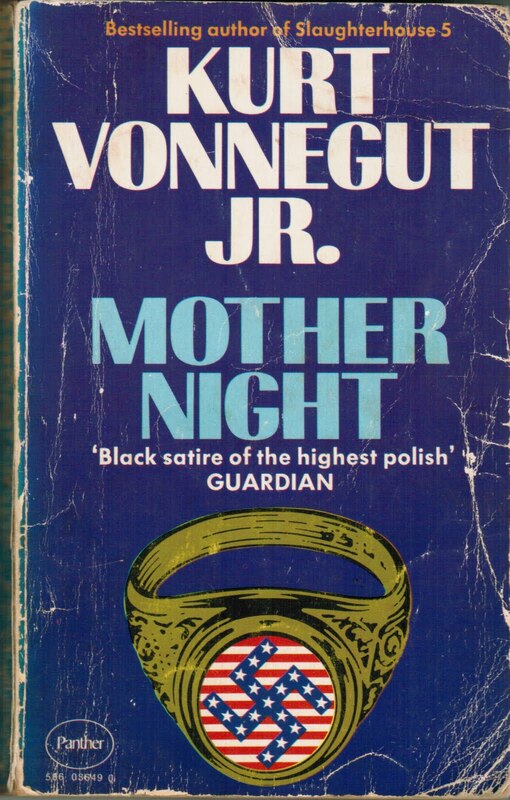 MOTHER NIGHT - Kurt Vonnegut Jr.
Howard W. Campbell writes this story from an Israeli prison where he is about to be tried for war crimes,- being a collaborator broadcasting propaganda from Berlin during the Second World War. From the beginning Campbell admits that he is guilty of what he is being charged with. This is more accessible than Slaughterhouse 5 I feel and I would suggest that if you haven't read "5" yet, you read this and then move on to "5". What this book really made me do was wonder,would Vonnegut have been able to write these wonderful books if he hadn't been through the physical and mental hell that he endured in Dresden.